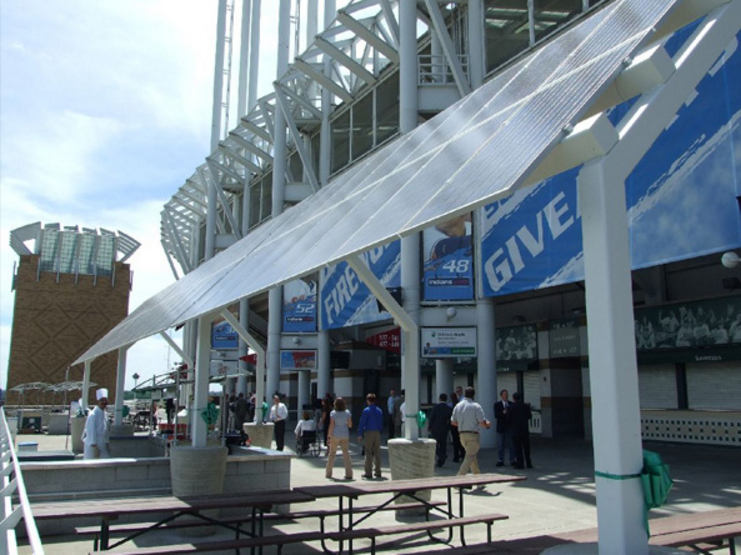 The unique canopy design situated on the Upper Concourse of the Cleveland Indians’ ballpark consists of 42-200 W GE solar panels for a total power production capacity of 8.4 kW, enough power to run the 400+ television sets at the ballpark. 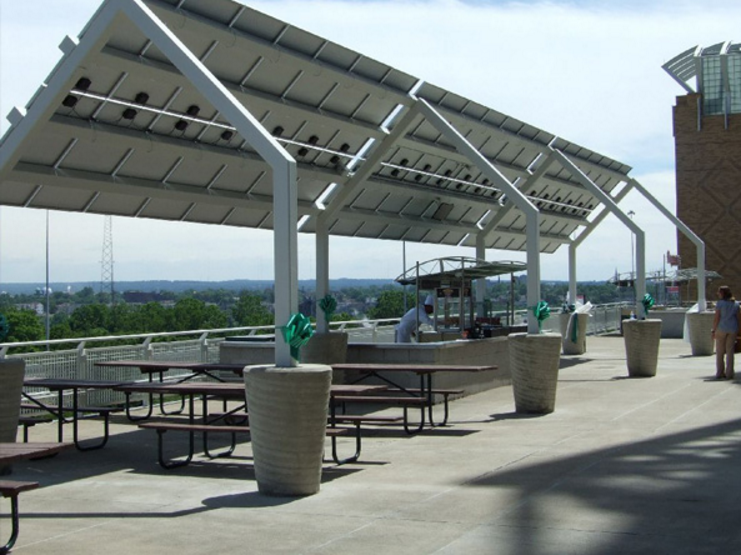 The building integrated design creates a picnic pavilion providing shade for outdoor eating and it generates electricity at the same time. 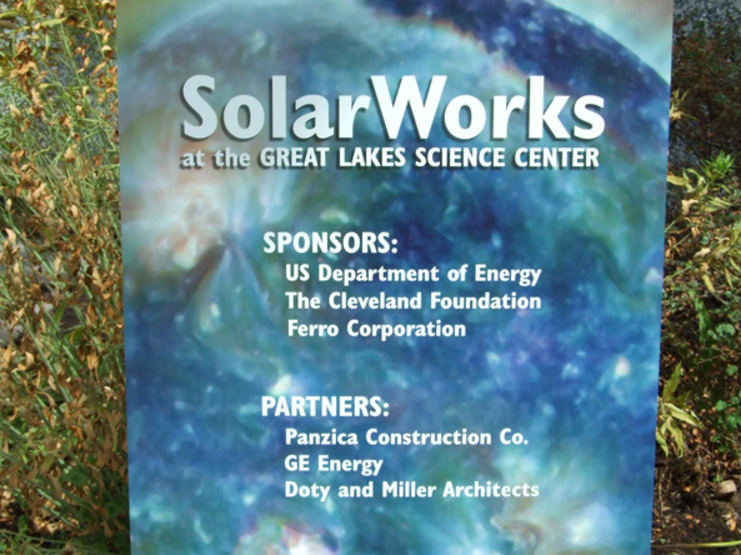 Upon completion of their wind energy turbine project, the Great Lakes Science Center’s next goal was to provide a unique demonstration of Solar Energy. 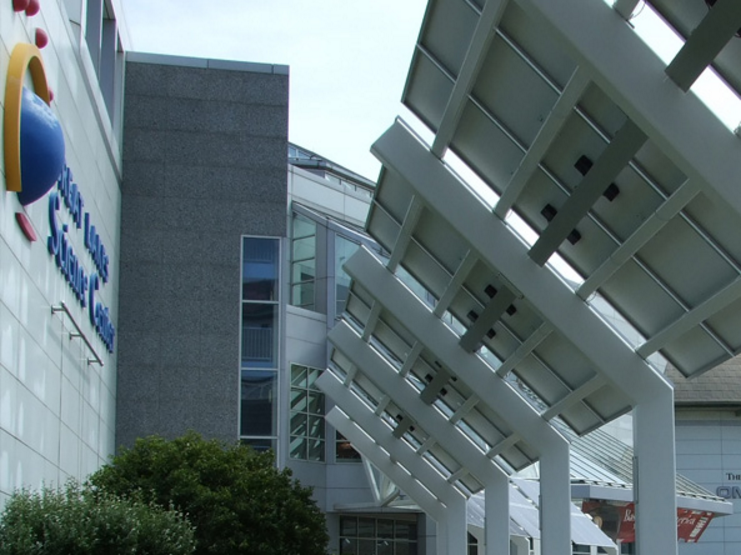 The solution was to create 31.4 kW of electrical energy in a Building Integrated Photovoltaic (BIPV) canopy system which is both functional and aesthetically pleasing. 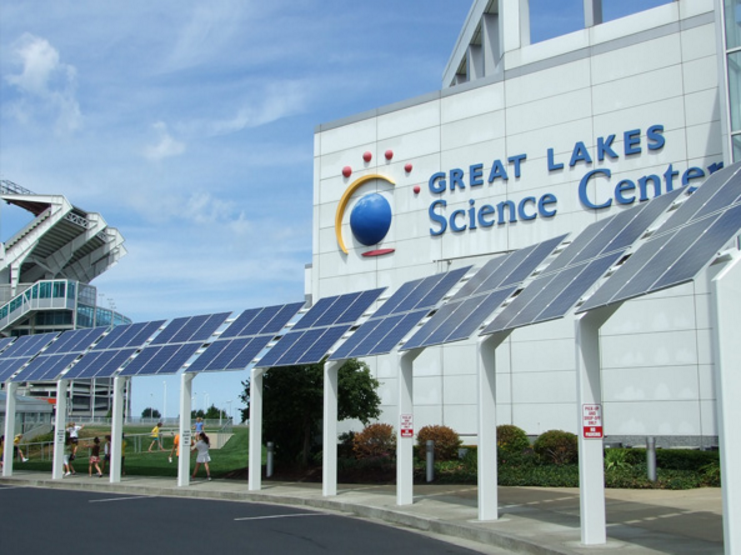 Surrounding and embracing the main driveway drop-off, the solar panels provide a canopy as school children exit their busses to attend the educational events at the Great Lakes Science Center. 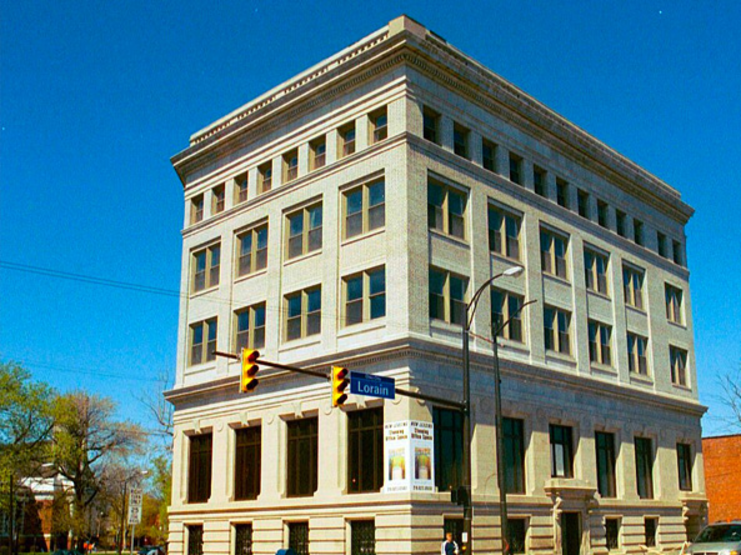 The 1914 Lorain Avenue Savings & Lorain Building has been renamed the Cleveland Environmental Center and is home to several local non-profit organizations, including the NEO Green Building Coalition. 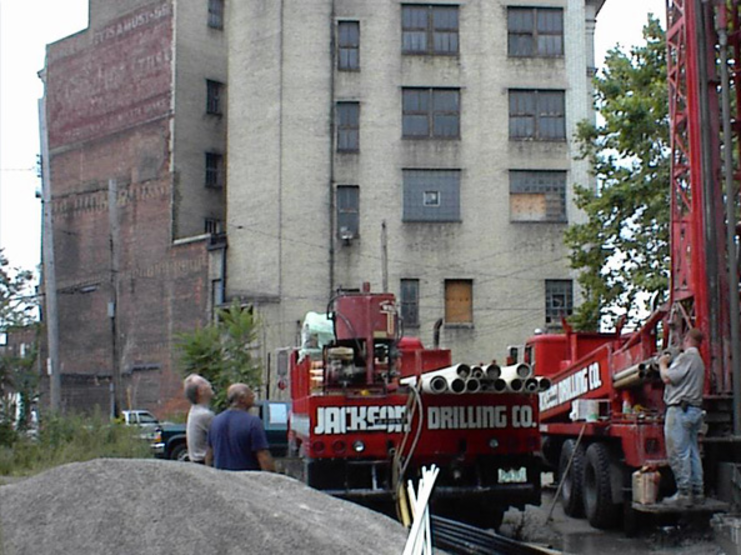 The CEC project is an example of how to marry historic rehabilitation with green design. It uses geothermal heating and cooling and also has a living roof planted with native plants and grasses in conjunction with a 4kW photovoltaic panel system. 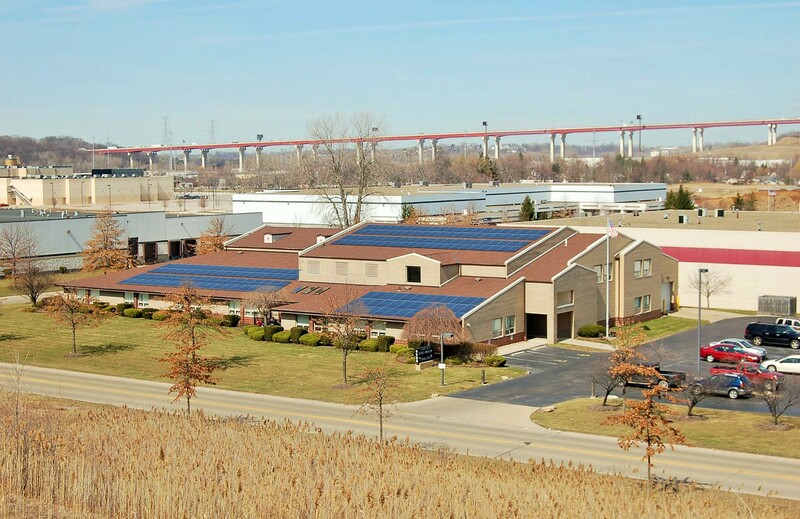 After completing a large addition to the joint apprentice training center for the electrical trades Union, there was much discussion about the growth of renewable energy in the country. 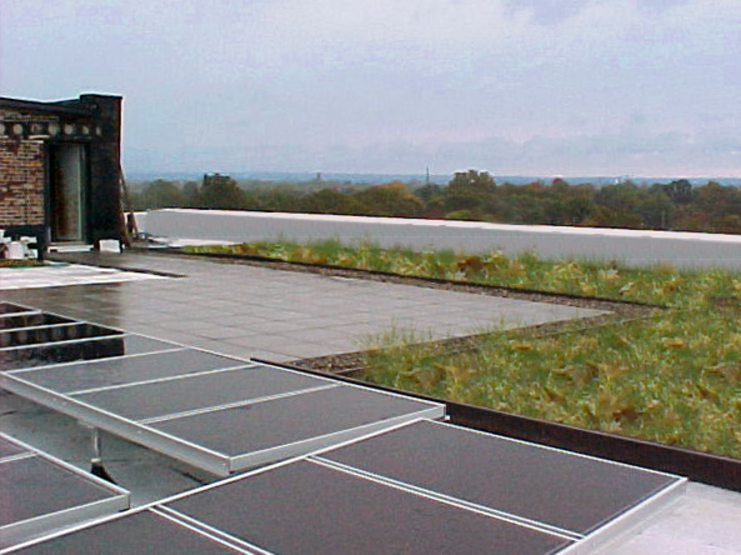 The leadership and membership companies at the school thought it would be appropriate and responsible to include renewable energy in the form of solar panels on the South facing roof of the JTC building. A study was done on the roof structure and the design was completed to develop a blend of capacity and design appearance. Work was undertaken by members and apprentices and a 48 kW array was constructed. 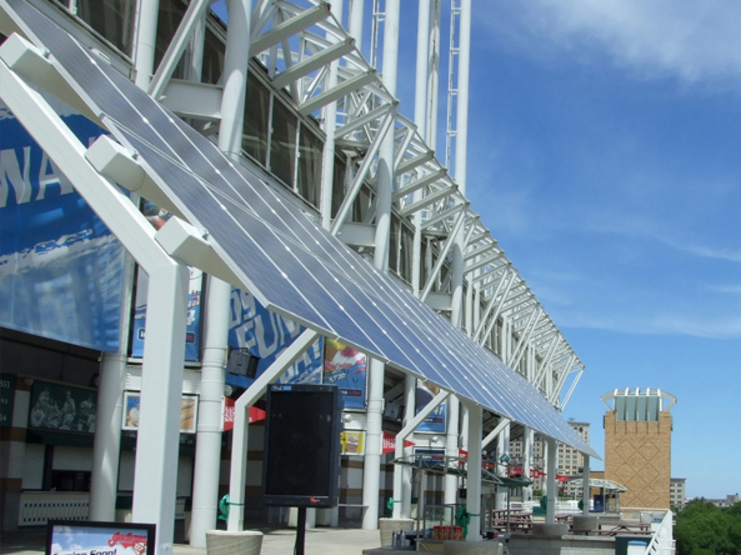 This commitment to renewable energy as the future direction of power in this country, demonstrates the Cleveland Electrical Union's commitment to progress and new technologies.